St. Paul’s, which won three consecutive MIAA B Conference football championships between 2012 and 2014, may have signaled that it is ready to contend for the title again, Friday afternoon in Brooklandville, as the Crusaders stunned defending champion St. Vincent Pallotti, 29-8. The Crusaders caught the Panthers on their heals early, taking an 8-0 lead on a 1-yard touchdown pass from Leo Kelly to Peter French and St. Paul’s added a two-point conversion. St. Paul’s quarterback Leo Kelly threw for two touchdowns in the win. Mitch Daugherty scored on a one yard run in the second quarter and Kelly added his second touchdown pass, minutes later, with a 20-yard toss to Chris Cabral as St. Paul’s built a 22-0 lead. Perhaps the most crushing blow came with just seconds left in the first half. Pallotti had the ball inside its own 30 and, instead of taking a knee or throwing down field, the Panthers elected throw a hitch rout to the sideline. The Crusaders swarmed to the ball, which was tipped into the hands of Quizzon Tarver, who returned it 31-yards for a pick six and the St. Paul’s went to the half up 29-0. Pallotti’s offense never did get on track and the Panthers only points of the day came in the third quarter when Pallotti got a pick six of its own. Pallotti’s vaunted rushing game and star back Blake Corum, who has offers to Virginia, Penn State, George and Baylor, among many others, were completed eliminated, as the Panthers were held to just 32 yards rushing and only 83 yards of total offense. In addition to his two touchdown passes, Kelly was 11-for-16 for 127 yards. 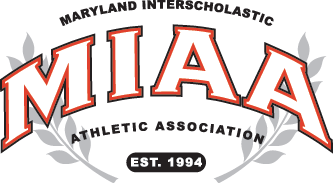 Only two teams qualify for the MIAA B Conference post-season and the Crusaders (2-2 overall, 1-1 MIAA B), who lost to Severn, 13-12, in their league opener last week, have put themselves in the hunt. Pallotti (1-4 overall) is also now 1-1 in the league. Boys’ Latin, which defeated John Carroll 24-14 on Thursday, and Severn, which down Archbishop Curley, 14-0, on Friday are both 2-0 in league play, to lead the B Conference thus far. Pictured above: The scoreboard tells the full story, as St. Paul’s head football coach Scott Ripley addresses his team following its 29-8 win over St. Vincent Pallotti.